Proving once again that Carmel Harrington is the queen of the thought provoking emotional read, this book is unputdownable, but equally quite tough reading in places. It follows three different stories, although it take a while for the one involving Skye to become apparent how it links up with neighbours Rea and Stella. All three of these amazing leading ladies, are dealing with something big. It is only fair to warn that themes included in this book include abuse, agoraphobia and the Boxing Day Tsunami, which may affect your responses to the various characters. I thought they were all rather brave, learning to face fears, and it becomes apparent how imporant just small acts of kindness can be to a person. I read this in an afternoon, barely pausing for breath, and was hooked on the superb emotional writing, impressive descriptions, and general connections I felt with all three ladies. 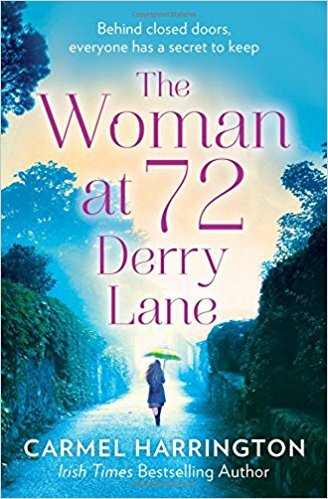 This really is another example of Carmel Harrington at her best, and I am just wondering how long it will be before this book becomes a film, as I think it certainly would make a compelling hard hitting drama to watch too, as well as read.